Today’s post is in partnership with Jane! It’s officially spring, and signs of my favorite season are all around. I’m in a full-on seasonal shift when it comes to my energy and wardrobe, and most notably my off-duty time. 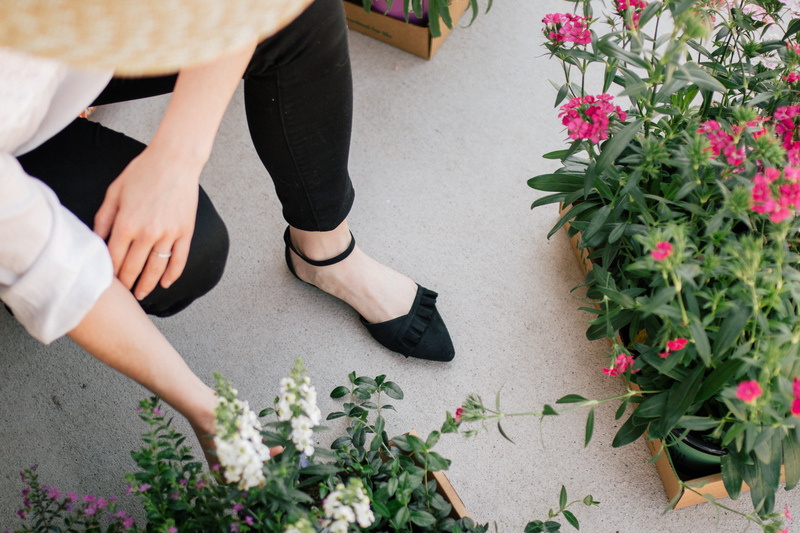 If you’ve been a long time reader, you know that I have a deep love and appreciation for gardening. Both the edible and floral kind. In fact, the ache in my hands is a reminder of a wonderful weekend spent sprucing up our yard in leu of spring. I love that my husband and I have this in common. 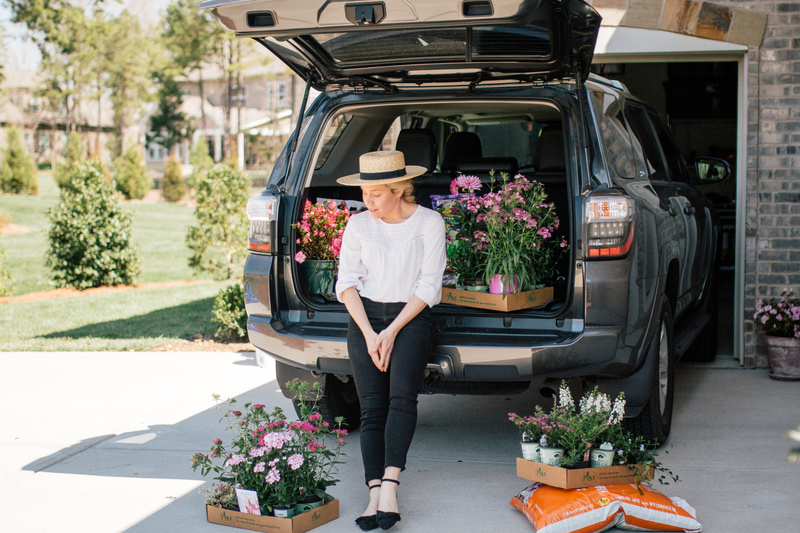 One of our favorite things to do together is visit nurseries and maintain our outdoor spaces. This weekend we re-landscaped a bed alongside our house that had been a bit neglected. For gathering supplies and running errands, I wore my new pieces from Jane. 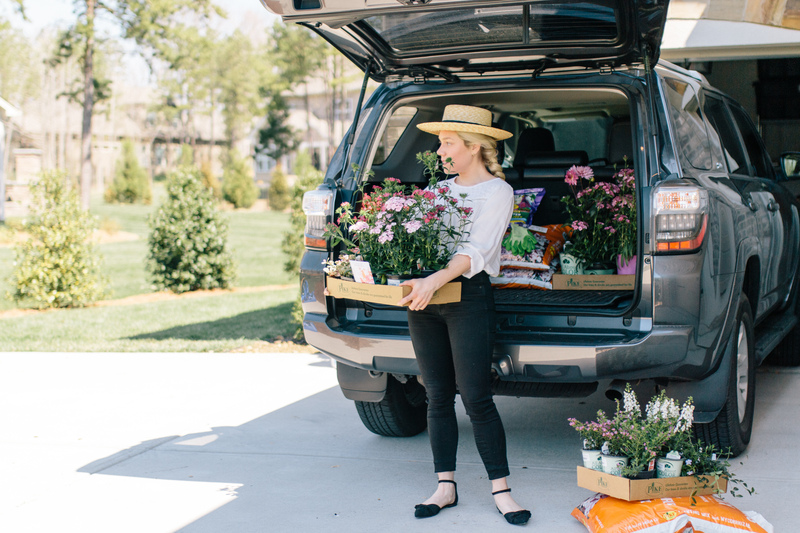 Some of you may be familiar with Jane, or maybe you’ve never heard of it — it’s a cute online marketplace that aims to help customers stay in style and on a budget. Every day, Jane reveals 350+ new offers from stylish brands and boutiques and all these deals are up to 65%! You can shop all these great deals online at jane.com or on our Jane App. Jane offers everything from shoes and women’s clothing to home decor and more. Personally, I’m in love with their shoe selection. 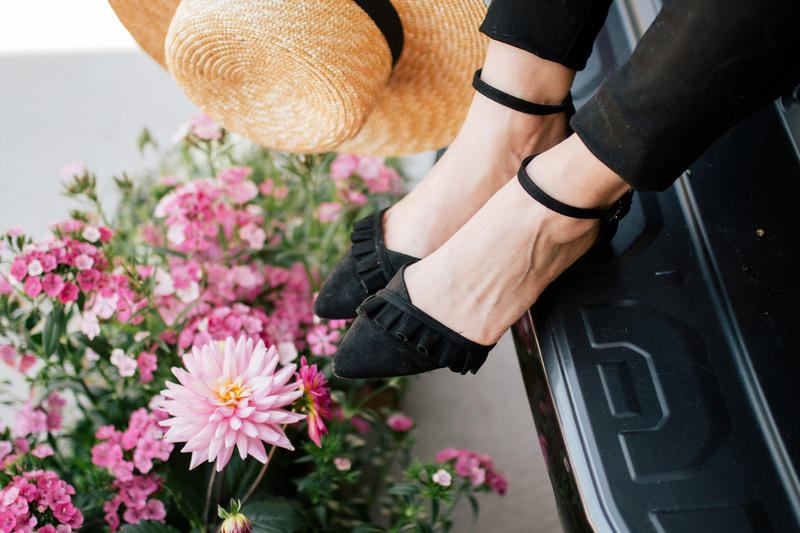 These black suede ankle flats are only $17! Can you believe it? They have on-trend styles for insane prices including these espadrille sandals, knitted sneakers or this pair of wooden wedges. They also have a great selection of warm weather dresses, seasonal gifts and more. Thank you Jane.com for sponsoring this post; please know that all opinions are my own.